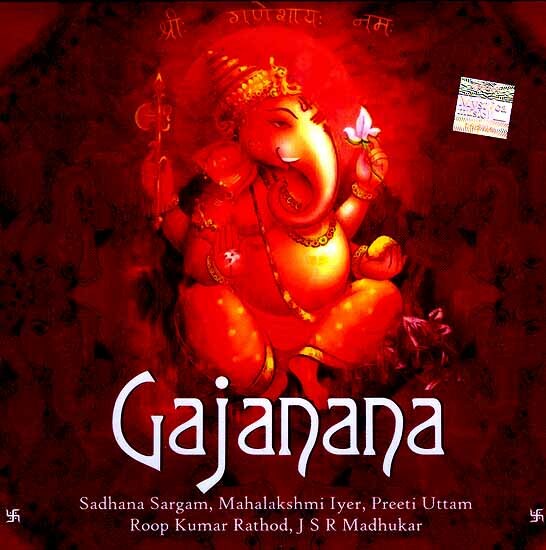 The album, 'Gajanana' celebrates the most worshipped deity of all gods and goddesses, Shri Ganesh. With refreshing and energizing tracks, this album renders soulful reverence unto Shri Ganesh in various musical moods. Shri Ganesh is widely revered as the Lord of beginnings, good fortune, and the Lord of intellect & wisdom. He is also honoured at the start of rituals and ceremonies. Yielding alliance with such a revered deity, the divine chant and bhajans in this album are said to bring peace, harmony and intelligence in our daily lives. Daily listening of this album will naturally help you inherit these divine qualities. Traditional compositions blend with contemporary music in varied moods and ragas, effortlessly, enhance and exhilarate the soul in pursuit of the eternal Lord. This album, therefore, is a perfect devotional gem into the listener's catalogue throughout four seasons. To add to the listener's delight, singers like Sadhana Sargam, Mahalakshmi lyer, Roop Kumar Rathod, Preeti Uttam, J S R Madhukar with their devotional voice enhances this truly sublime experience.